Recently I wrote about all the reasons I think you should start a blog. So. How exactly do you go about that? 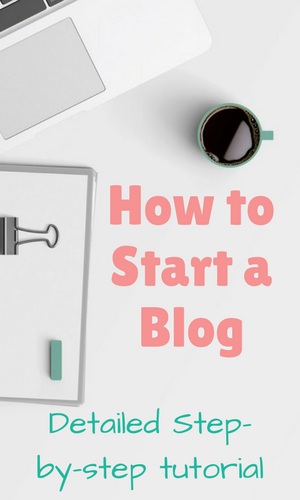 I have the ultimate how to start a blog blueprint for you. Why is this one the ultimate blueprint over all the others? Because I have learnt valuable lessons over the years that many bloggers have not. I’ve been blogging long enough to know what can happen and how to protect yourself from blogging vulnerabilities. I’ve also worked with many different hosts and themes and plugins and tools that you’ll need. 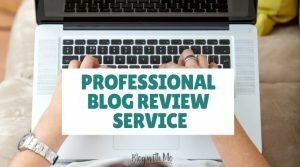 I have some favourites that I think will set you up with a solid blog foundation. Once your foundation is solid, you’re free to build your amazing blog. Now, it has been a while since I started a brand new blog. So am I really qualified to advise you on how to start one? I mean, I started my blog so many years ago, right? It is for that reason that I created this brand new blog. Instead of incorporating blogging posts on my current blog, I want to build this blog up and grow along with you. I documented all the steps I have taken so far in creating this blog. Let’s get into it. Before we go into step 1, it’s important that you have your reasons for blogging laid out on paper. As with any new project, you’ll need to have your objectives clearly laid out to act as your guide. What are your reasons for starting a blog? What do you hope to accomplish? Who is your target audience? The answers to these questions will tailor the steps that you make to ensure you’re receiving the results you’re looking for. Remember that for the purposes of this blog, our objectives are always to solve a problem and to make money in doing so. Solving a problem for our audience helps us to connect, build community and establish authority. With an engaged community, well also be able to monetise our blog through the solutions that we’re providing. Win-win. 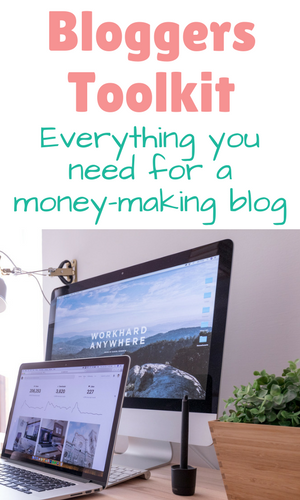 However, if you’re not trying to monetise your blog and you just want a place to share your life, you won’t need all these steps. I would still go with the blog for business route, you never know where your life’s stories may take you. Now that you’re clear on your why and your who, let’s get into the how. The name that you’ve chosen will be the footing that your blog stands on. 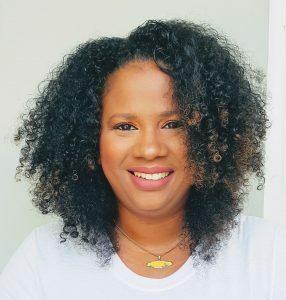 This will be how you brand your business and how you connect with your audience. You’ll want to use something short and catchy that can stand out on search engines and on social media. Once you’ve selected your name, you’re ready to purchase your web hosting package. Don’t use a free website host as tempting as it may be. Free means you’re the customer and the content that you create is owned by whatever free platform you’ve chosen. That means they could erase your site at any given moment and you would have no reprieve. You want to own your content. I break down how dangerous it could be to not self-host your blog in this post. I’ve read a million blog posts on web hosting and I continue to recommend the one I use, Siteground. It’s not the absolute cheapest but it’s not far off and you know what they say about going with the cheapest possible option. Siteground has always been able to help me at a moment’s notice through their live chat whenever I run into technical difficulty. Their customer service, lack of downtime (BIG WIN) and ease of use in these 7 years I have been with them is why I continue to sing their praise. Here’s a post with a detailed tutorial on getting started with Siteground, including pics and video. When you’re purchasing your hosting package, you will receive your domain name free for the first year. They will also help you to move your domain name over to them if you already have one. Bluehost is another popular website host that’s even more affordable. Depending on what your budget is you may choose to go with them for your hosting needs. Once you’ve bought your hosting package and you’re all set up, you’ll want to install WordPress. WordPress is the platform you will use to write all your posts. There are other platforms available for sure, Joomla, Drupal etc, but WordPress is by far the most popular amongst bloggers worldwide. And for good reason, ease of use being the main one. I have used Joomla before and I’m so happy I don’t anymore. Once you’ve installed WordPress, you’ll need a theme. The theme is the design of your blog. You can either install a free theme, work with a designer to create something from scratch or purchase a premium theme. You know how I feel about free. Free is great for some things, but when it comes to your business, you want to invest in something that will reflect the standard you’re trying to set. Purchasing a premium theme gives you the plug and play ease you’re looking for while still giving you a gorgeous, custom website look and feel. Go with free and you may end up looking the same as a ton of other blogs out there. And the aim is to stand out. My favourite premium theme, the one I use on all my blogs is the Divi from Elegant Themes. It’s a beautiful drag and drop page builder allowing you to create a custom theme by dropping any type of section anywhere you choose. This is great for me for those moments when I really love a function of a theme but wished it were somewhere else on the page. Or wished it were a little bigger or had one more row or one more image column. You get the point. Divi is the absolute best. MyThemeShop also has some beautiful and professional themes for you to browse and choose from. It may be a little easier if you just want something plug and play without tinkering with drag and drop page builders. Same for Pretty Darn Cute Designs, I love their feminine but yet professional themes! Going this route may be easier on the pocket if you’re just buying one theme. I have multiple sites plus love the flexibility of being able to refresh my blog with a different look by moving around elements instead of installing a whole new theme. Once you’ve installed WordPress, you’ll need a host of plugins to extend its functionality beyond the basic word processing. The list of plugins vary far and wide, however, the ones I recommend you install right away are below. Jetpack – this plugin does the function of multiple plugins in one. It will help to secure your site, offer visitor stats, compress images and show related posts on your blog. It can also push your blog posts to your social media channels once posted and display share buttons on your posts so that your readers can share them to their social media channels. Yoast SEO – SEO is extremely important for the content that you’ll be creating and will be spoken about extensively on this blog. SEO stands for search engine optimization and it’s what will be one of the driving factors of traffic to your site. Optimizing your posts with keywords that people are looking for using search engines, will help these search engines to point them to your solutions. Yoast is an excellent plugin to help guide that process so you’re not missing any possible opportunities. Shareaholic – While Jetpack offers related posts and share buttons, I also utilize Shareaholic for this purpose. It provides a richer experience for me with more options. You can also use it to monetize your posts with ads, though I do not use it for this purpose. Sucuri Security – This plugin is not an option. WordPress sites can be very vulnerable to spam and malware attacks and should be protected from all angles. This is one of the best I’ve found and I used it to help me clean up my site after I found out it was hacked. Loginizer Security – This is also a security plugin that helps to prevent login attempts to your blog admin area. I have both installed. Insert Headers and Footers – I use this plugin to place codes in the header and footer section of my blog. Various other sites that need access to your blog, like Google analytics and Pinterest, will give you codes to place in your blog’s header to verify site ownership. This is a great way to place those codes without going into your theme’s code and mistakingly messing up anything there. SG Supercache or another caching plugin – caching keeps your website superfast and Siteground has one built in to their hosting service which I love. No one likes a slow-moving website so be sure to install one for a better user experience. There are other plugins that you may choose to use for various other functionalities. These that I have selected will give you the start you need. By now you’re well on your way to launching your brand new blog. You’ll want to secure the social media handles to go along with your blog as well as your email list builder. When you purchased your hosting, you would have gotten email accounts included in the package. Create one to use along with your blog. You may already have free Gmail emails, but remember what I said about free. You won’t be able to use free email accounts to send out emails to your mailing list. Plus, your new email may also be used to create new social media accounts. Chances are your old email is currently being used on your personal handles. Decide which social media channels are best for you based on where your audience is. 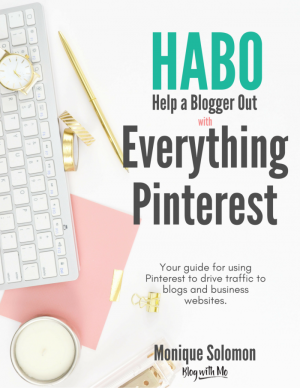 If you’re blogging for profit then you cannot overlook Pinterest. 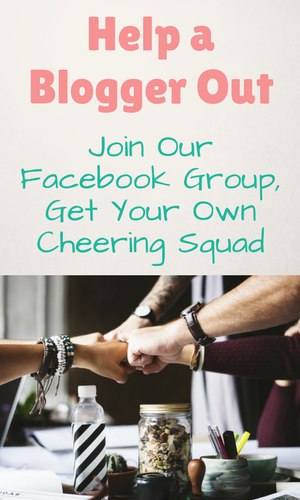 Be sure to set up a Pinterest business account and a Facebook Page for your blog. Other channels optional based on what your topics are and what you choose to blog about. Even if you focus on only one or two main social media channels for growth and engagement, go ahead and create accounts on all the majors. This prevents someone else from taking these names and who knows, you may find them useful in the future. You absolutely must set up your email list builder. Far too many blogs are not utilizing email marketing and this will be where your bread and butter will come from! Just take it from me, I will go into more details in future posts. But set one up right out the box and begin to collect emails from your visitors. You can try Mailerlite since it’s free, relatively easy to use and has advanced features like email sequences and automation. Convertkit is the provider I use because the features are far greater and so much more user-friendly. Their emails also have a better chance of not ending up in spam based on this report. I have tested and can confirm this because I switched from Mailerlite to Convertkit fully. 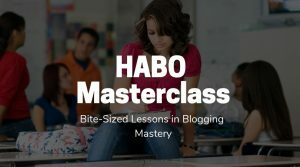 I wrote a detailed post on using email to grow your blog here and even have a free list-building course you can take below. Ok, enough setup. Start writing already! There are definitely still other things to be done but you can figure it out along the way. If you wait until your blog is perfect, you may never ever start. For instance, I launched this blog without my logo design. I did a simple one in Canva to begin with while my graphic designer perfected the one I currently use. If you’ve made it this far, you’re ready to launch your new blog and unleash your talents and wit onto the world. What is important is to continuously read. Read other blogs in your niche to see what’s current and read blogs about blogging. You will always pick up tips, tricks and blog post ideas by reading work your fellow bloggers put out. So keep an eye out there and take in all the content you can. There you have it. Start chipping away at this list to create a great blog from the ground up. If you’ve already started a blog, then let me know if you managed to find some tips you’ve not yet covered. 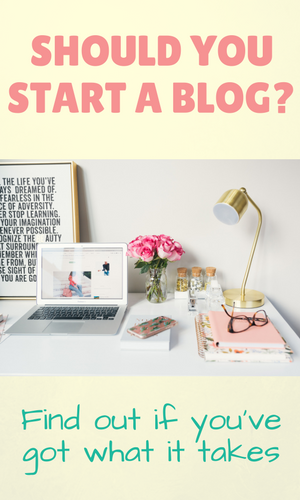 I hope you found this post useful and feel confident enough to go start a blog. If so, please share this post and let me know if you have any questions in the comments. Do you need a printable checklist version of this post to follow along as you set up your new blog? Of course you do. Enter your email address below to receive yours now.